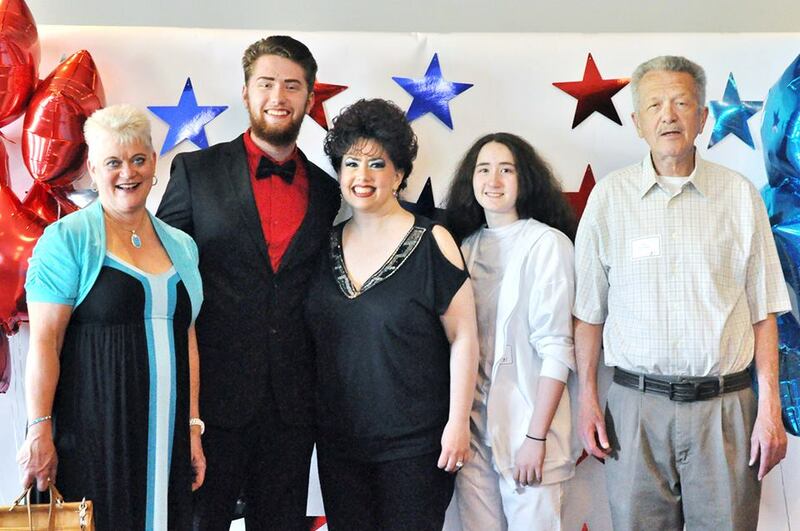 The Annual 622 Education Foundation STA2RS Recognition Event and Banquet honors the OUTSTANDING achievements of the year’s top graduating students from Tartan and North High Schools, along with their mentor teachers and parents. It is an important evening for STA2RS students and always a memory-filled evening full of recognition, wonderful food and celebration! 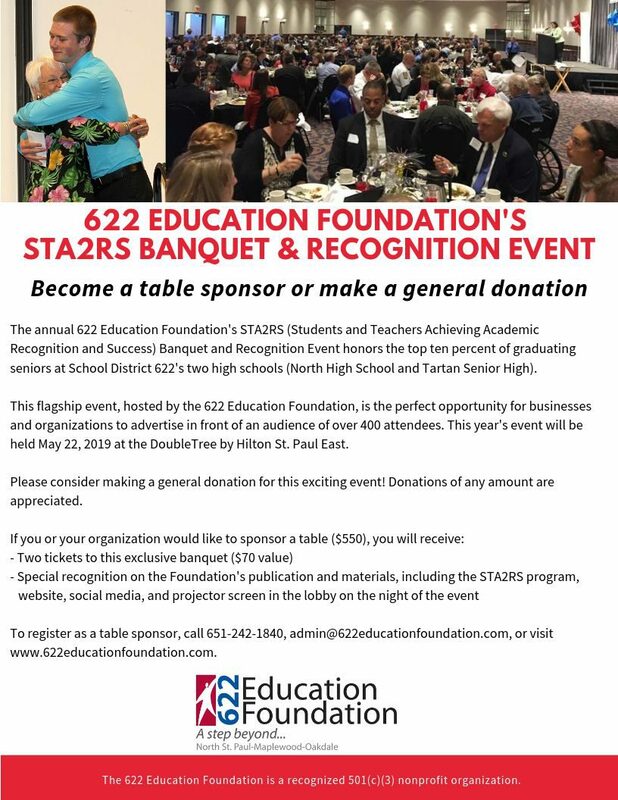 The 622 Education Foundation’s STA2RS Banquet will be held on May 22, 2019. (See sponsorship form above). 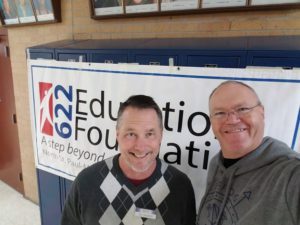 STA2RS: An inspiring evening to honor our outstanding District 622 students and teachers!